If you backup your iPhone, iPad or other iOS device to your Mac instead of to iCloud, then you've probably seen a noticeable increase in size used on your start up disk. 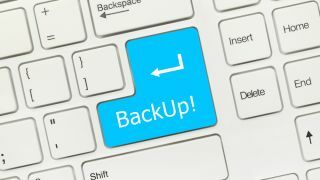 This is because iOS backups can be multi-gigabyte files that take up considerable space; however, you may not actually need these backups except in emergencies. This can be especially noticable on a laptop, where disk space is often limited. In this tip, we'll show you how to move your backup files to an external disk so that they no longer take up extra space, plus we'll show you how to move them back so restoring can be a breeze. 2. Open a Finder window and type Shift + Command + G (or select Go > Go to Folder), then type "/Library/Application Support/MobileSync/Backup"
3. Locate the folders inside of the Backup directory, and move these to another drive. Once they've copied, you can delete the originals. Use this path to find where your iPhone's backup is located on your Mac. That's all you need to do in order to move the current iOS backups to another disk. Note that each time iTunes syncs with your iOS device, new backup files will be created, so you'll need to repeat this process whenever you make new backups. 3. On your external drive, locate the folders previously removed from this Backup directory, and move them back to this location. 4. Open iTunes and begin the restore process. Once the files are back where iTunes they were originally, iTunes should be able to see them and make them available during the restore process.